Can I be a believer and not be baptized? What is the significance of being submerged in water? I remember the first time I saw someone get baptized. It was on a Sunday night at the church I grew up in. I was young, and a tad confused as to why there was a bath tub behind all the choir chairs, but felt there was some sort of significance to it, which was made clear on this very night. The person being baptized had just come out of the water, with their hands lifted above their head like they had just won a marathon, grinning ear to ear. Everyone began to cheer and shout and lift their hands towards Heaven, while the man grabbed a towel to dry off and the next person made their way down the stairs and into the tub, starting the process over again. I had a lot of questions that night, and knew that I wanted to be baptized one day, I just wasn’t sure of the true purpose behind it. How is this different than being sprinkled as an infant? 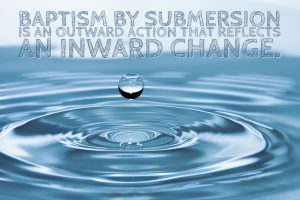 Baptism by submersion is an outward action that reflects an inward change, but an infant hasn’t made any choice to follow Jesus at that point in their life. Those who choose infant baptism generally believe one of two things. That this baptism infers salvation upon the child at that moment, or that it is done in hopes that the child will one day, after going through catechism, will own Christian beliefs as their own. What matters at the end of the day when it comes to baptism? 1) those who believe on the Lord Jesus Christ will be saved. 2) those who profess Christ are commanded to be baptized. 3) baptism, though a strong command, does not save you. 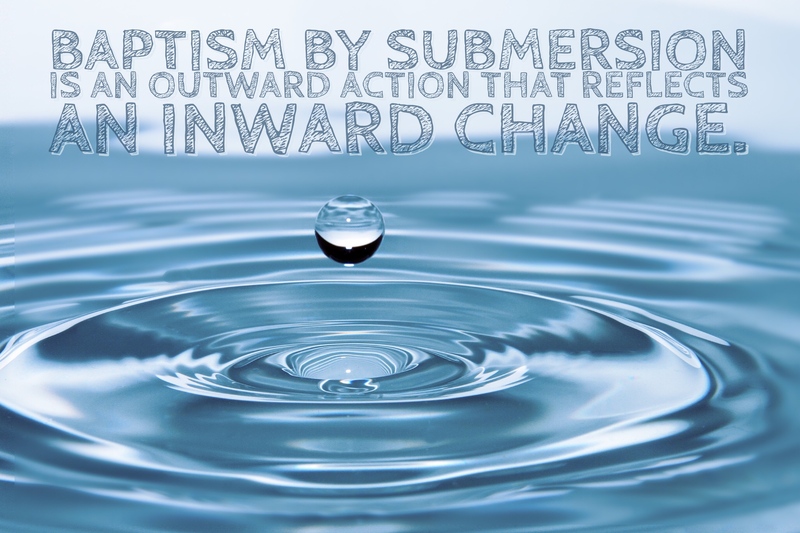 As believers, when we come to accept Christ, our next command is to be baptized. When the disciples went out to preach the Gospel, they had clear direction from Jesus on what was to be done. According to the Bible, baptism should be our first act of obedience after turning over our lives to Jesus as our Savior. That doesn’t mean for those who accept Christ in the final moments of their lives that they will not have salvation because they aren’t baptized. But, for those of us that make the decision to follow Jesus now, we should be eager to follow Jesus’ example and be baptized as quickly as possible. If that isn’t the case, we should examine our hearts and see what could be stopping us from making this decision. Jesus was perfect. I mean y’all, He was completely sinless, but you know what? Even He was baptized by John the Baptist, in order to fulfill the command that His Father had given. After my youth pastor finished the sermon series on baptism I had made up my mind that I wanted to get baptized as soon as I could. I remember that day vividly, even ten years later. It was during a Sunday night service, in the balcony of the sanctuary. All the youth being baptized that night were given white robes to put on. When it was my turn, I made my way into the tub, and something shifted inside of me the moment I came out of the water. It’s a feeling I could only describe as the Holy Spirit coming over me in a different way that I had experienced before. I’ve seen many people be baptized since this day, in fact, on one sunny day towards the end of my second trip to Africa, I was in the Red Sea in Dar Es Salaam Tanzania, when I watched my now husband be baptized. It was the most beautifully simplistic moment of my life, one that I will hold forever dear to my heart. 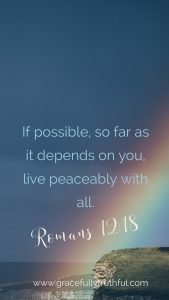 So today I ask you, sweet sister, have you made the choice to follow after Jesus forever? If you have, and haven’t been baptized, I encourage you to speak to someone that can help you with this next step of faith. If you have more questions about this, we’d love to chat with you! Leave us a comment or write us an e-mail. This journey study is so near and dear to our hearts, and we want this to be a safe place for you to explore biblical beliefs and how they affect our everyday lives!